Hotel Iberostar Anthelia is an ideal destination for those looking for a quick getaway as a family or a couple. Perched on the southern part of Tenerife, the hotel provides spectacular views of along with five-star amenities and services. Features of the hotel include a kid’s club, swimming pools, restaurants & bars, spa & fitness centre and many other outdoor and indoor family oriented activities. 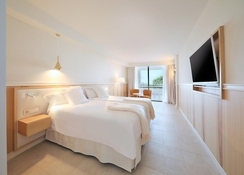 All the rooms in the hotel have contemporary furnishings with spectacular sea views. With two swimming pools for adults and one swimming pool for kids, there is plenty of sports and entertainment facilities for guests to enjoy. 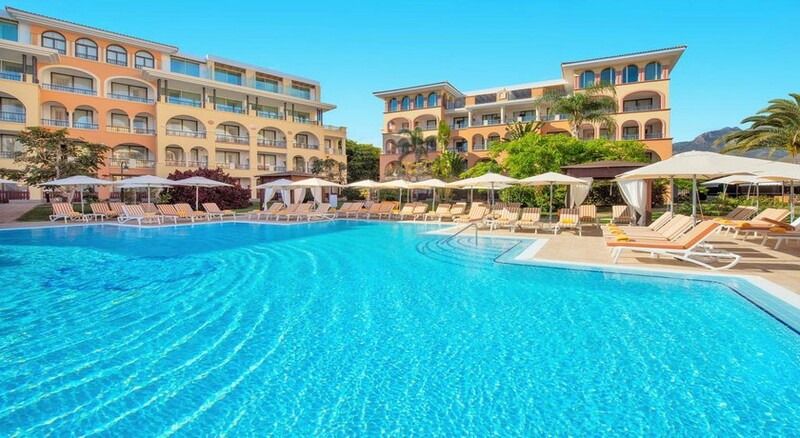 Peacefully located on the edge of the Natural Reserve of Barranco del Infierno (Tenerife), Hotel Iberostar Anthelia is a large family friendly property. 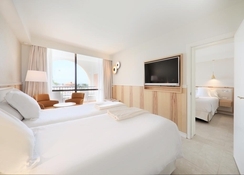 This five-star hotel is situated on the Fañabe beach, about 18.7km from Tenerife South Airport. This part of the island is a paradise for nature lovers; known for stunning waterfalls and trekking stretches. And should you want to explore the local cuisine and the market, there are several restaurants to explore and cruise just around the corner. 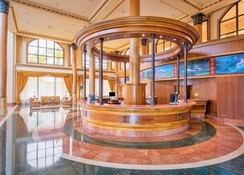 Hotel Iberostar Anthelia features 365 rooms spread across five buildings. The accommodations here are categorised as: Sea-view Suite, Garden-View Double, Side Sea-View Double, Priority Location Double, Sea-View Double, Priority Location Superior Double, Duplex, Interconnecting Rooms, Sea-View Superior Interconnecting Rooms and Presidential Suite. All guestrooms are beautifully decorated, keeping in mind the safety of children. Common facilities across all rooms include TV with satellite, air conditioning, en suite bathroom with bath amenities, hairdryer, Wi-Fi internet, mini bar, telephone, safe deposit box, cribs and private balcony. Zeus the main restaurant serves local and international cuisines for buffet breakfast and dinner, while ‘Barbacoa Restaurant’ offers a la carte local cuisine from 1pm – 4pm. If you wish to explore the local cuisine, there are three restaurants that cater your requirements. Other restaurants at the property include Poseidón Gourmet restaurant, SeaSoul Restaurant & Lounge and Portofino Italian Restaurant. The hotel also offers ecological breakfast to its guests without any extra charges during 8:30am - 10:30am. Take advantage of the Barito Pool Bar - open from 10am – 6pm, it is right next to the pool offering refreshing drinks and snacks. Zumeria the snack bar serves light bites and hot & cold beverages between 10am – 6pm. Finally, the Hall Bar serves a wide range of alcoholic and non-alcoholic drinks between 10am – 1am, such as soda, coffee, wine, beer, juice, cocktails and more.